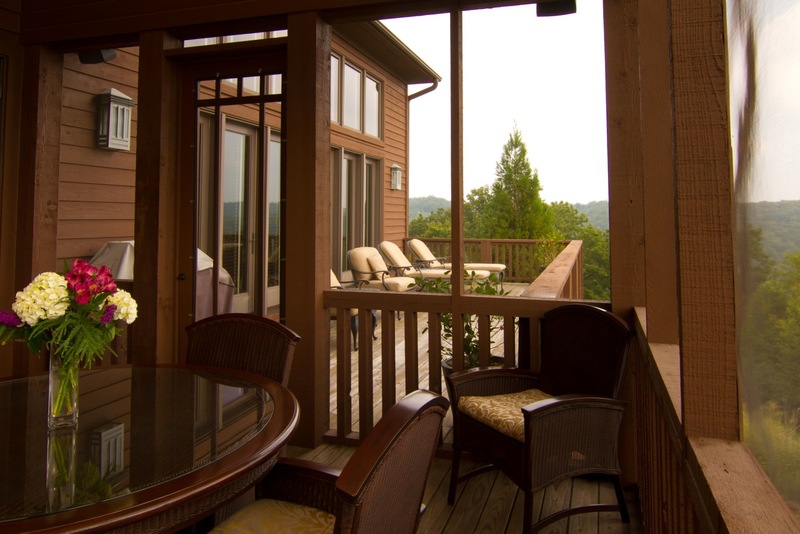 Living Space: 4,034 sq. 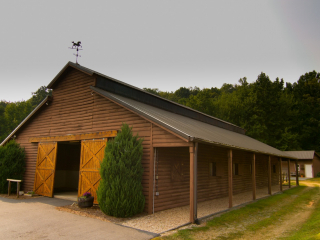 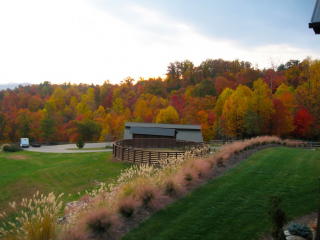 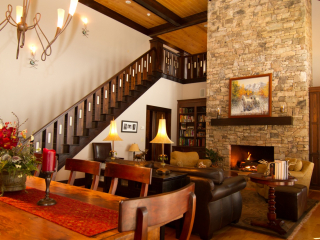 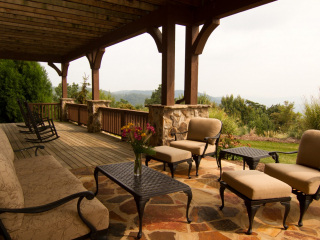 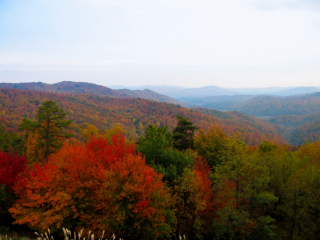 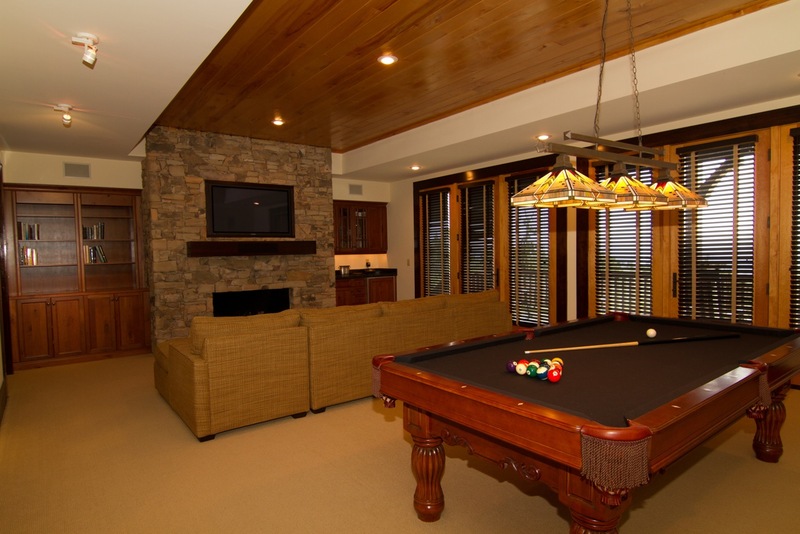 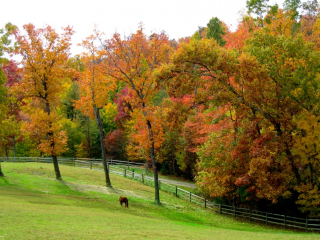 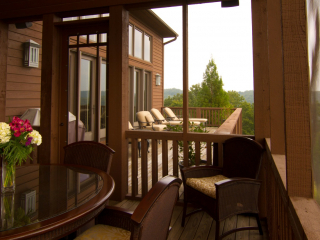 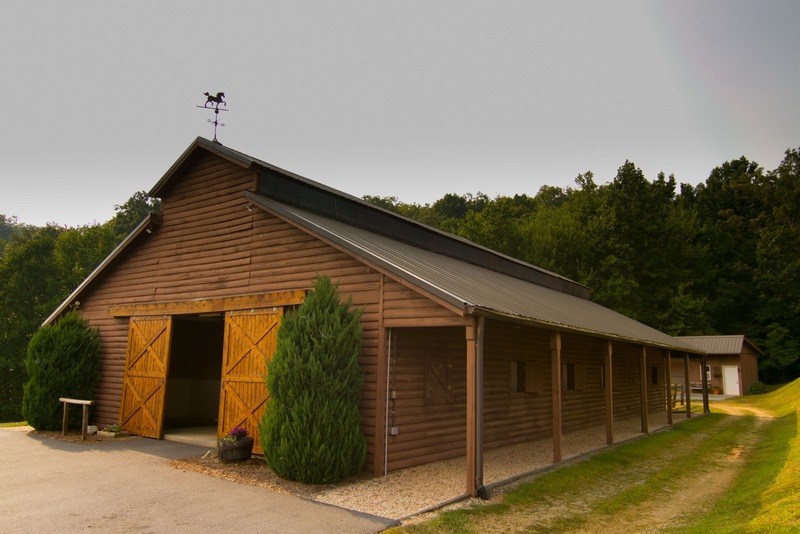 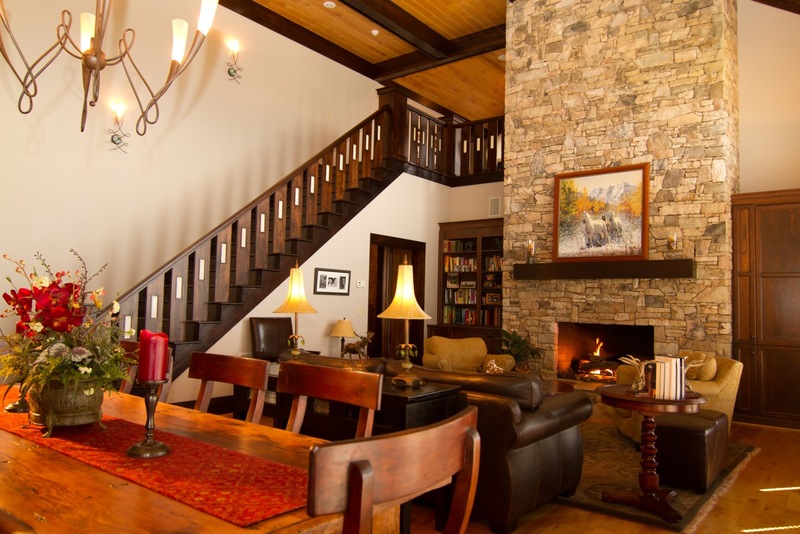 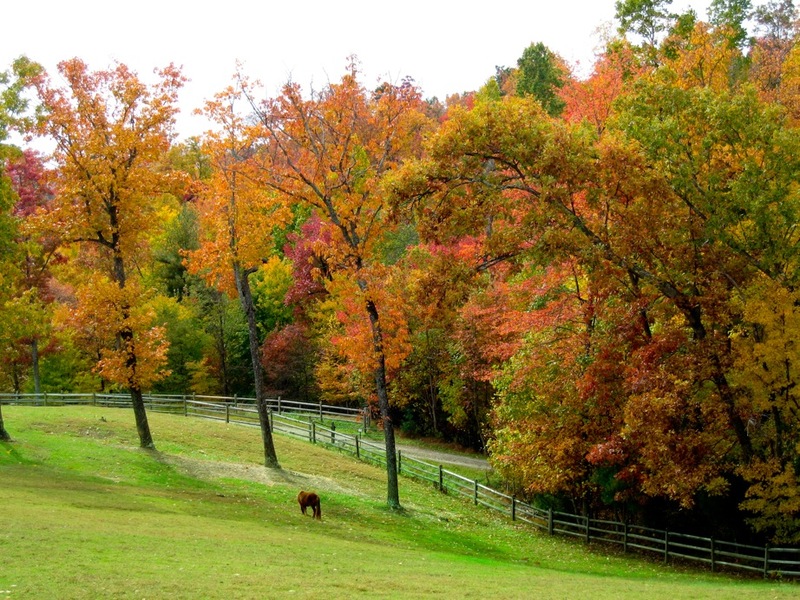 ft.
Sacred Ground is an exquisite modern lodge in Leatherwood Mountains, and provides the perfect mountain home, both for you and your horses. 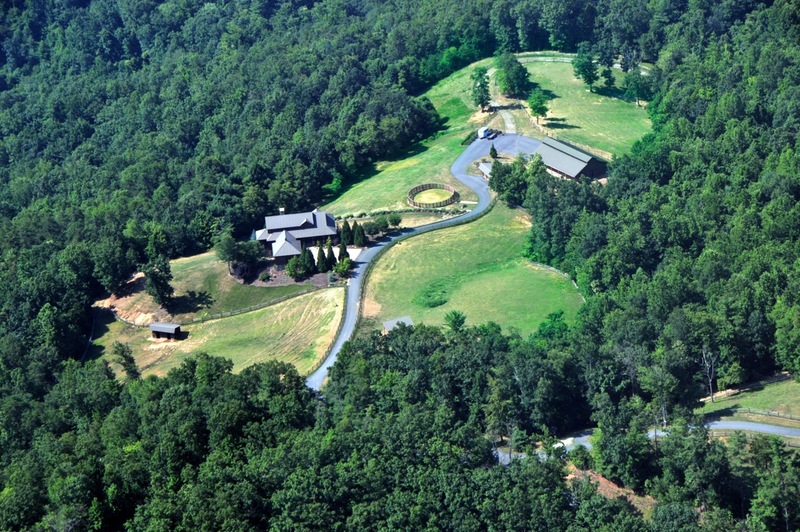 This ultimate equestrian estate rests on 20.61 acres, with absolutely breathtaking views as far as the eye can see!! 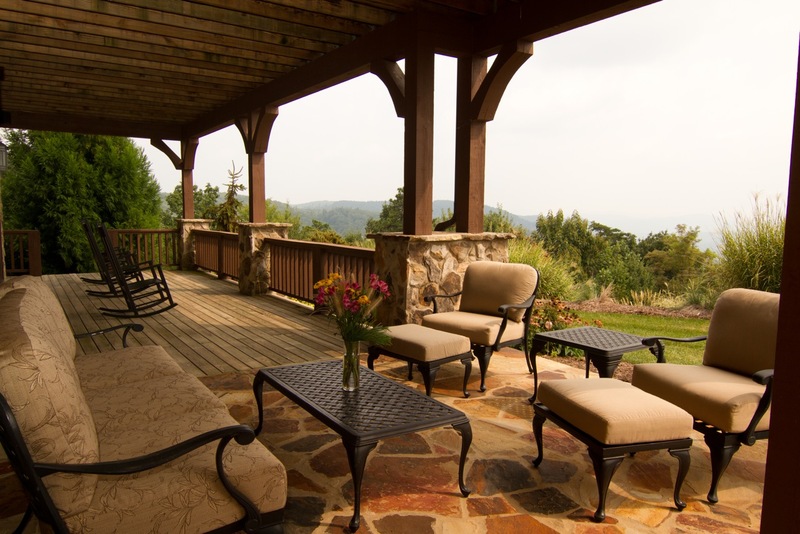 Complete with 3 bedroom 3.5 bath main house featuring a quiet meditation and yoga loft with long range views and a generous sized game room on the lower level. 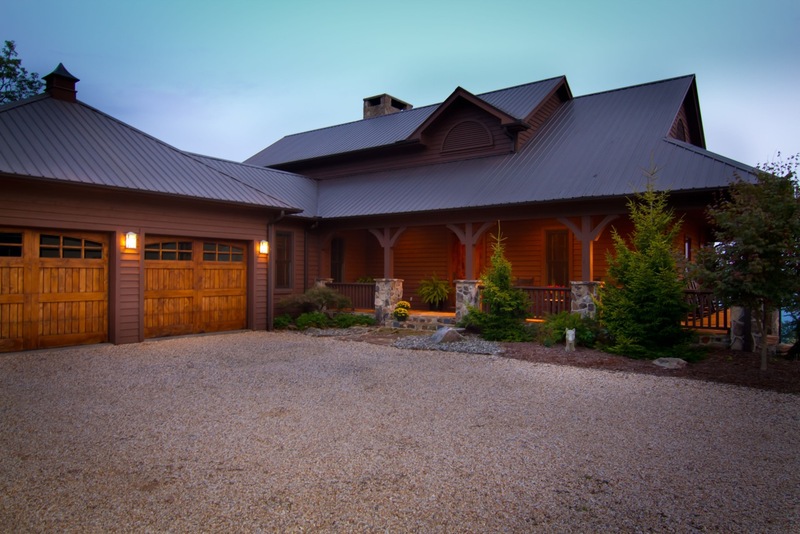 Sacred Ground is centered around a 19’ stone fireplace on the main level, with an open floor plan leading into the modern professional kitchen area.. 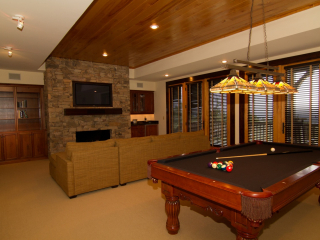 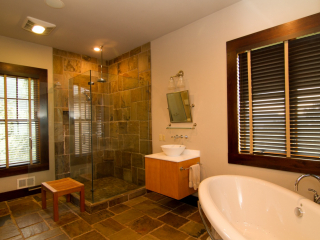 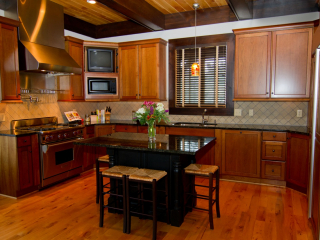 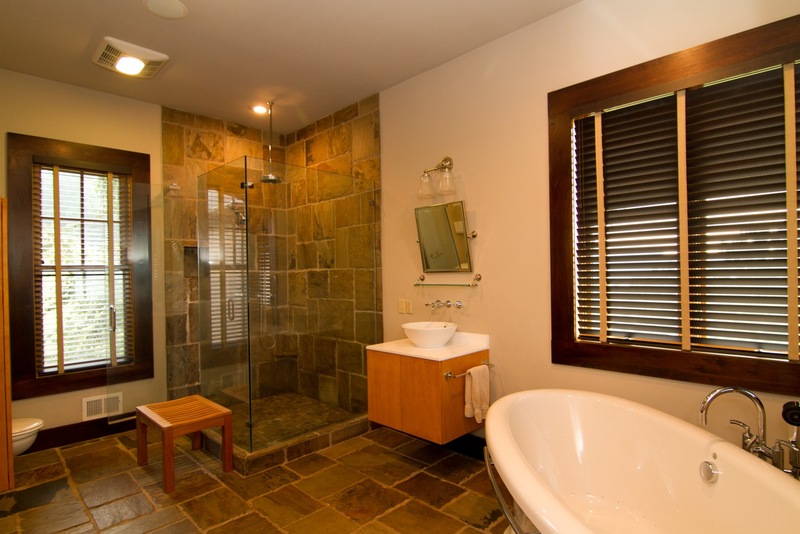 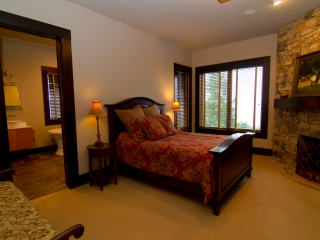 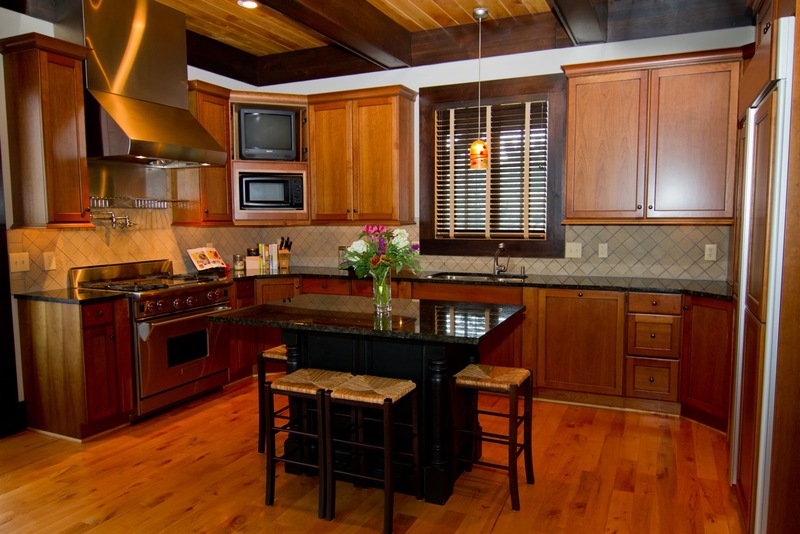 The home also includes accents such as maple ceilings with walnut beams, walnut molding throughout, maple hardwood floor, wool carpeting, media system and surround sound throughout, custom cabinets and interior doors, imported light fixtures, master bath with spa influence and heated floors. 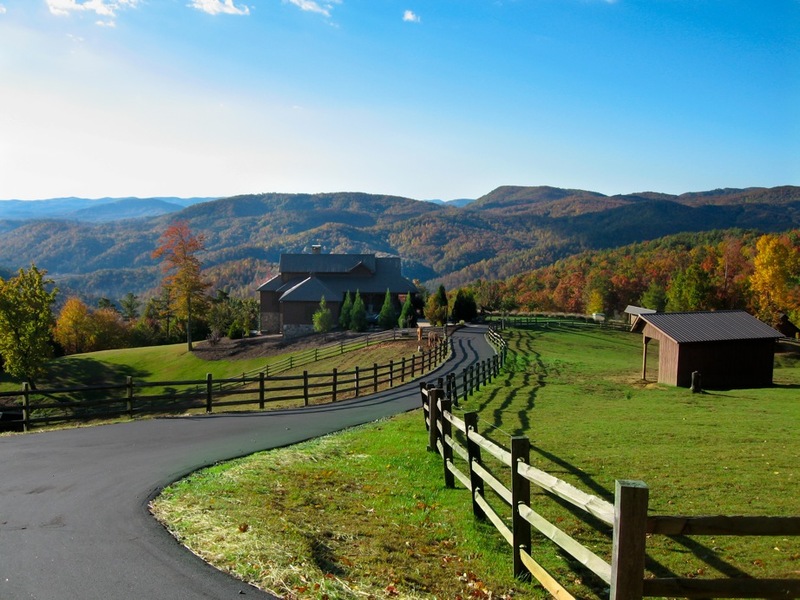 Horseback riders will find everything they need on the top of the mountain without ever leaving the property. 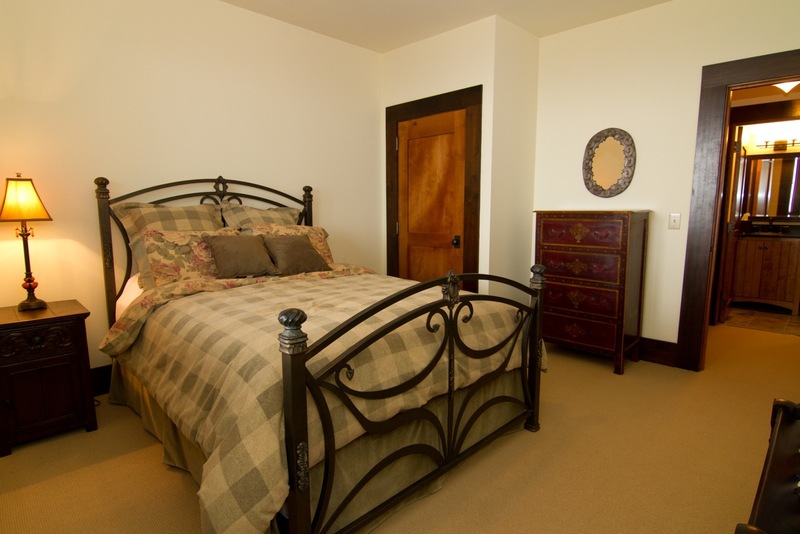 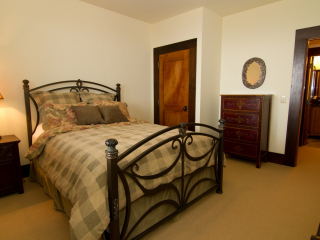 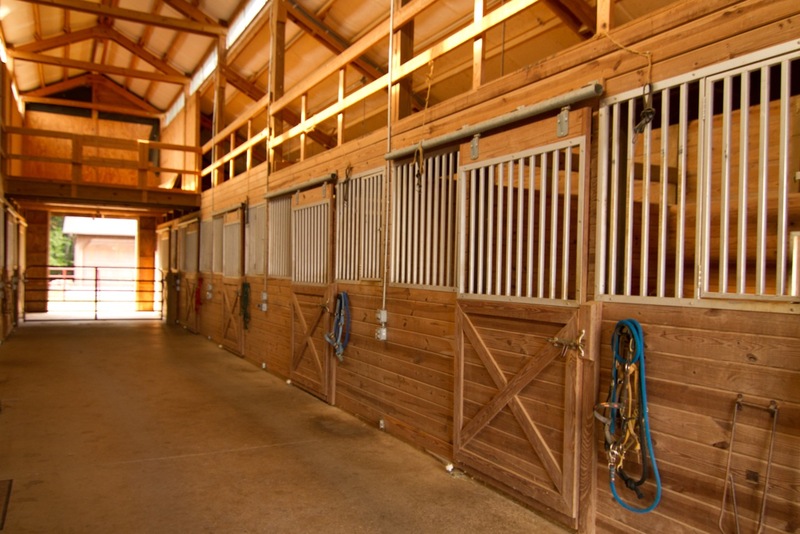 Bed down your horses after an all day ride in the 3000 square ft.8 stall stable with wash pit and tack room. 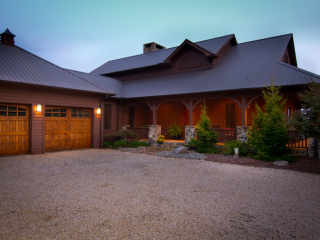 The road in, and driveway, are completely paved and there’s plenty of room to maneuver larger rigs. 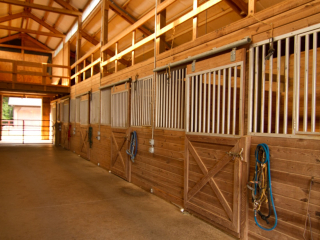 Turn outs include 3 large fenced pastures, a round pen, and over 3 acres of manicured landscaping. 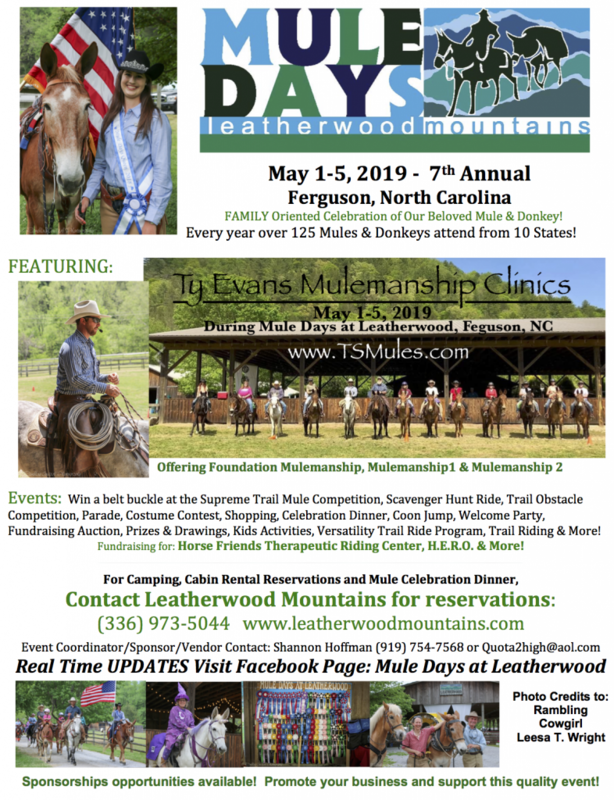 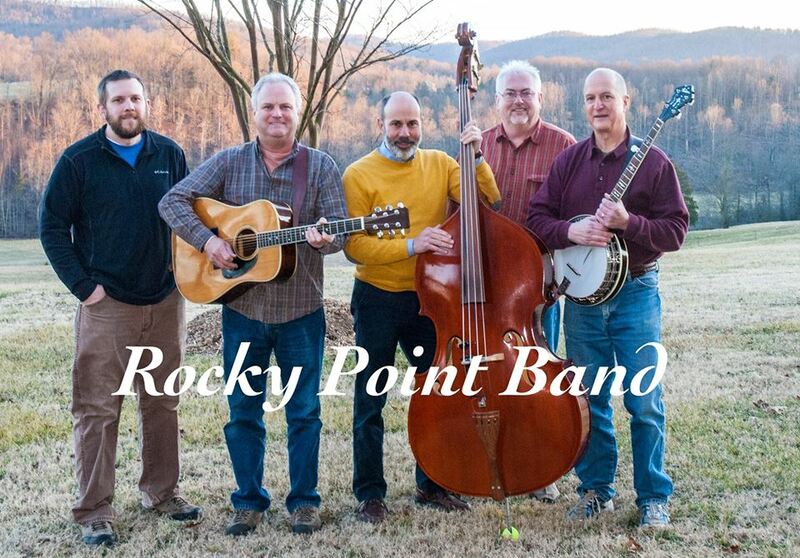 Saddle up and ride from the estate onto the adjacent Leatherwood trail system, which spans over 80 miles spread out over 4500 acres of pristine mountain wilderness. 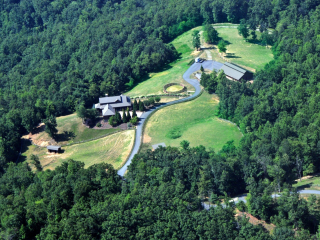 It would be quite hard to find an equestrian estate as impressive as Sacred Ground, and especially one that has access to such an incredible place to ride! 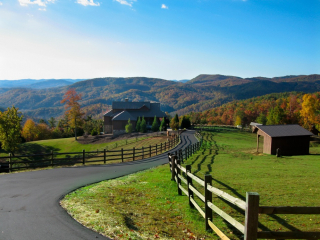 Schedule a time to come and see this amazing property today!